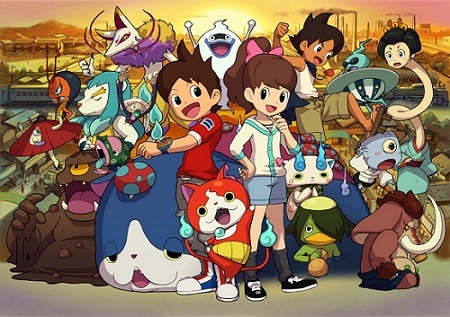 On this page, you will find all there is to know about the Software updates for Yo-kai Watch 2: Bony Spirits / Fleshy Souls (released on July 10th 2014 in Japan, and September 30th 2015 in North America). To check that you have the latest version of Yo-kai Watch 2: Bony Spirits / Fleshy Souls, simply launch the game: you should see the version number on the main screen, in the bottom right corner of the top screen (Ver. 1.1 in that case). For more details, make sure to check out this post! Notes: there is no way to chose between the Japanese and English dub version of the summoning song. If you want to revert back, you will have to delete the update. Also, to change the language of the game, you have to set the language of your Nintendo 3DS system to either French or Spanish.